a place to chill out so you can stay calm or cope with the noise in school. “Don’t forget where you come from”. “Don’t be afraid of being different”. Did you know that about 1 in every 100 people has a stammer? Hear from Fraser about his experiences and the advice he has for someone living with a stammer. 1 in every 10 people has dyslexia. Dyslexic people can do a lot of things, they just might do them in a different way. Some of the most successful people in the world have dyslexia… Keira Knightley, Steven Spielberg and Jamie Oliver all have it. People with dyslexia are often very creative and good at problem solving. Having dyslexia might mean you need help with reading, writing or remembering. 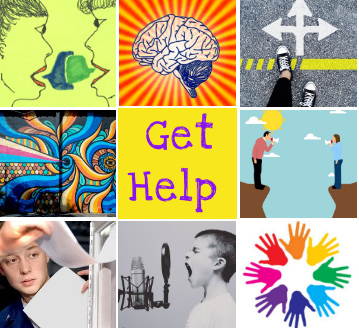 Get more info and support from Dyslexia Unwrapped, the online hub for young people. Got dyslexia? Here are some tips from Rachel, a Young Ambassador for Dyslexia Scotland, about what teachers can do to help you at school. Whatever challenges you’re going through, never forget you have many strengths too….